Dr. Charles T. Inman attended Appalachian State University and the Southern College of Optometry where he received his B.S. in Chemistry and Doctorate in Optometry. When Dr. Inman started his studies, Optometry had just started treating eye diseases. He felt that this would be a fascinating area of growth. 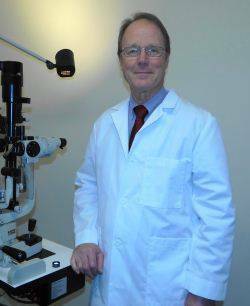 He now specializes in Glaucoma, Diabetic Eye Disease and Vision Problems and has been in practice for 32 years. Dr. Inman grew up in Fairmont, North Carolina, but now resides in Raeford where he enjoys fishing, hunting and spending time with his wife, three daughters and first grandchild.